NEW YORK—By some accounts, the idea of Central Park began as early as 1850, though its current scale and size were yet unimagined. Today it is the most well used urban park in the country, and a New York City attraction that draws people from every corner of the world. On a sunny Sunday, Sveta Bulanova hopped on a rental bike the day after she landed in New York City for a business trip. It was her first view of the park. Frankly, Bulanova said as she took a panoramic video of the park, the experience was freeing. With her camera she captured the high-rises towering overhead in the distance against a cloudless blue sky. Below, a calligrapher slowly made his way up some steps to scrawl black, inky loops onto a long sheet of paper laid out on the ground. There was music off in the distance, in at least two directions. Then her mouth dropped open when she learned the path she had just been cycling on was used by cars on weekdays. Hordes of tourists were passing by on bikes, accompanied by a cloud of chatter in foreign tongues, the clopping sound of horses pulling carriages, pedicab drivers chatting with their passengers, and joggers pounding the pavement in both directions. “No. How can you let cars in here?” Bulanova asked. On her bike, she could see all the details, and feel the atmosphere of the park, she said. But in a car, the scenery of the park would be wasted. Many New Yorkers have harbored the same reaction for decades, but in the last 10 years the movement to close Central Park to cars has made progress. Last week, a comprehensive study and trial of the impact of closing the park to cars was proposed by West Side council members. Hopes are that a successful study will lead to a closure of the park to cars for good. The legislation proposed last week by Council members Helen Rosenthal, Mark Levine, and Corey Johnson would close what is known as the Central Park loop to cars (except for certain exempt vehicles) from June 24, 2015, to Sept. 25, 2015, with a traffic study to be completed by the end of the year. The loop runs from 59th Street to 72nd Street, northbound on the east side and southbound on the west. “It would bring Central Park back to its natural splendor,” said Helen Rosenthal, who bikes through the park regularly. She notes that she, as well as other constituents, would love to have the option to commute to work on bike and take a path through the park—but it is just too crowded with cars right now to do so. This is only the latest in a long string of pushes for a car-free park. Parkgoers have been asking for closure to cars for decades, and beginning in the 1960s, vehicular traffic was reduced bit by bit—weekends here and there, holidays, midday Saturdays, and then weekends. A decade ago, car-free advocate Ken Coughlin collected 100,000 signatures for a car-free park. 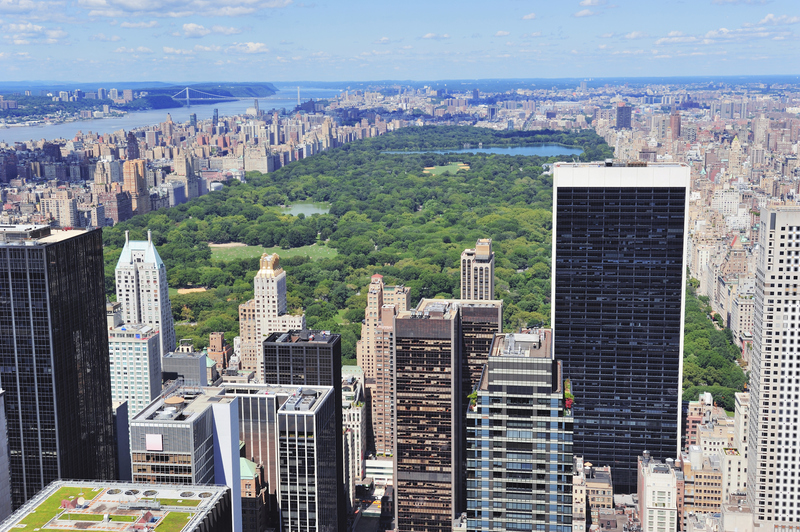 The Central Park Conservancy has stated its support, and every community board around the area has written in support of the measure, garnering little response. And when legislation was proposed to close Central Park and Prospect Park to cars in 2011, the bill stalled in committee. In 2004, the speed limit on park drives was lowered from 30 mph to 25 mph. Two years later the hours during which cars can use the loop were reduced. Last year, the loop was closed for two months during the summer. Based on these previous closures and what little traffic impact there has been, Rosenthal believes it is the right time to make another push. Joggers, pedicab drivers, carriage drivers, cyclists, and others using the park without motor vehicles expressed immediate support for closure to cars. Taxi drivers shook their heads and said it would add 10–15 minutes of extra time from being stuck in traffic during rush hour. Some said passengers frequently requested the park route. “It would be a shame to lose it,” said Erhan Tuncel, a taxi driver and managing director of the League of Mutual Taxi Owners. But park usage in the summer is so high it is completely understandable if the city wants to close it to car traffic, he said. What it will be is an inconvenience to cab drivers trying to get their passengers to work in the morning and home in the evenings, and so Tuncel hopes the city will make other road design changes at points of major congestion of the city in exchange, to allow taxis to be more efficient. One of the central points in the movement to close the loop to cars is safety. There is a narrow path sectioned off in the middle, two feet wide, for bikes. On one side joggers get about four feet of space marked off in white paint. On the other side cars get about half the width of the path. Cars, for both cyclists and joggers, are seen as the biggest threat to safety, because even 25 mph is a frightening speed at such close proximity. But more and more New Yorkers have taken up cycling in the past few years, and there are pedestrians who find them just as much of a threat. 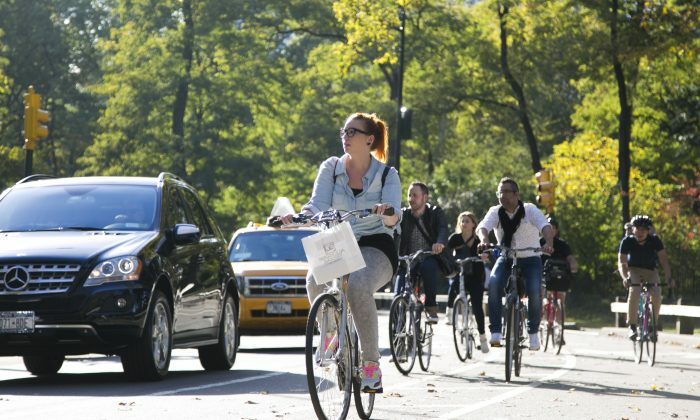 For Risa Weintraub, who lives right across the park on Central Park South, the danger of cars pales in comparison to the speeding bikes that whiz past her on her almost daily walks through the park. At least the cars stay in their designated lanes. It is difficult for a cyclist to reach 20 mph, especially in a crowded park, but even half that speed feels fast—and dangerous—to someone walking close by. If the loop were closed to cars, she worries it would only mean an increase in the number of cyclists. They would then take up the entire path, leaving no room for pedestrians. Cars are overwhelmingly the biggest cause of traffic fatalities, but the recent deaths of two pedestrians struck by bicyclists in Central Park has brought bike-pedestrian safety into the spotlight. It’s a growing concern of her constituents, said Assemblywoman Linda Rosenthal, who hosted a forum on the topic Oct. 14 with local city traffic enforcement, Central Park and Riverside Park enforcement, Transportation Department Manhattan Borough Commissioner Margaret Forgione, and Transportation Alternatives organizer Thomas DeVito. Enforcement will also be needed on both sides, she said, so cyclists and pedestrians all move carefully. Twenty-eight years before the invention of the modern automobile, in 1858, landscape architect Frederick Law Olmsted and architect Calvert Vaux submitted the winning design of what is now Central Park. It included four transverse paths where horse-pulled carriages could pass through the width of the 823-acre park without entering park grounds. Three years later, the first park visitor statistics were submitted to the city. On an average day, there were 4,500 pedestrians, 144 equestrians, and 659 carriages entering the park. It wasn’t until 1899 that cars were allowed into the park, but only by permit. Today the number of cars in the park is up over tenfold from the number of carriages over 150 years ago. The number of pedestrian visitors today is close to 40 million.